We've all heard the saying, "a pina colada is like a tropical vacation in a glass." It may make us feel like we're on a beach somewhere with steel drums in the background, but it shouldn't make us feel guilty because we've reached our daily calorie intake in just a few sips. 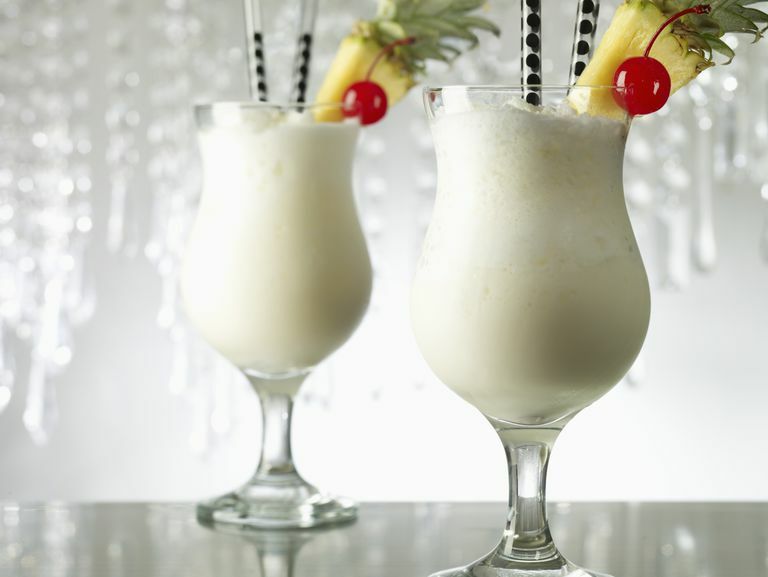 A typical pina colada is loaded with sugar thanks to the cream of coconut and pineapple juice. But there are ways to achieve the same level of sweetness without all of the added calories. This recipe minimizes the sugar by replacing the canned pineapple juice with fresh pineapple​ and reducing the amount of cream of coconut. Also, by using frozen pineapple you can cut back on the ice and create a thicker, richer cocktail. Of course, you can create a "virgin" version by omitting the rum. Usually, pina coladas are made with white rum but this lighter version works well with a combination of white and dark rum. When it comes to coconut in liquid form, there are three different products: coconut milk (coconut pulp mixed with water and strained), coconut cream (a richer form of coconut milk made with less water), and cream of coconut (a product containing coconut milk and sugar). Cream of coconut is the choice when it comes to cocktails, but if you would like to try something with a little less sugar you can use coconut cream—it just may not taste as sweet.